“Our study shows that the recruitment of bone marrow-derived fibroblasts is important for promoting tumor growth, likely by enhancing blood vessel formation,” says Dr. Neta Erez of the Sackler School of Medicine at Tel Aviv University, discussing a recent discovery finding that breast cancer can “recruit” stromal cells originally formed in bone marrow to aid in growth. The study was published in the November 23, 2018 issue of the Journal of Experimental Medicine. Blood cells are produced in bone marrow. Stromal cells are found in the connective tissue of several organs, including bone marrow. They support the functions of the parenchymal cells (a parenchyma comprises the functional parts of an organ) of their host organ. They have a role in inflammation response, as well as controlling the amount of cells that accumulate in an inflamed region. Certain skin cancers cannot spread throughout the body because they need stromal cells to continue cell division. Indeed, a slowing or loss of stromal cell growth helps aid in the mitigation of multiple cancers’ ability to invade other organs. Within solid tumors, cancer cells are surrounded by other cell types that, while not cancerous themselves, nevertheless boost tumor growth and metastasis. Breast tumors, for example, contain large numbers of fibroblast cells, known as cancer-associated fibroblasts, or CAFs, that promote cancer cell proliferation, inflammation and angiogenesis—the formation of the new blood vessels that supply the growing tumor with nutrients and oxygen (fibroblast cells make collagen, which forms the structural framework of tissues). Many of these CAFs are derived from the neighboring breast tissue, but Erez and her team noticed that others seem to come from elsewhere in the body. In their models, the Sackler scientists found some fibroblast cells that lacked platelet derived growth factor-A (PDGFRα, for short), suggesting human tumors may also recruit bone marrow-derived cells and cause them to develop into CAFs. Moreover, tumors containing lower levels of PDGFRα tended to be more deadly, suggesting that the recruitment of bone marrow-derived fibroblasts is a crucial step in breast cancer progression. 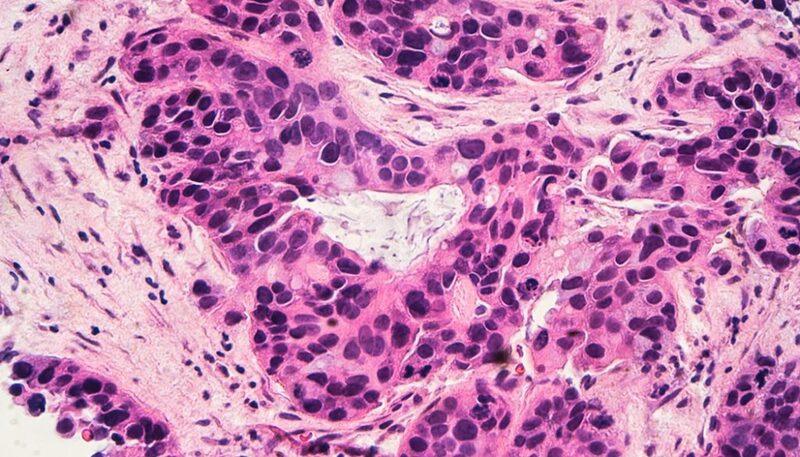 Targeting those cells lacking PDGFRα could open up a new venue in the fight against breast cancer, and explain why some breast cancers remain unaffected by some therapies or are simply more deadly. “Understanding the function of these cancer-associated fibroblasts could form the basis of developing novel therapeutic manipulations that co-target bone marrow-derived fibroblasts as well as the cancer cells themselves,” says Erez. The research finding dovetail with advances made in 2018 by NFCR Fellow Daniel Von Hoff, M.D. He and his colleagues are developing new treatments for pancreatic cancer by targeting stroma.